The defining characteristics of the specialty of veterinary clinical pharmacology reside in an advanced knowledge of the many complex factors that constitute rational drug therapy in animal patients. The Residency Program in Veterinary Clinical Pharmacology at NC State University is designed to provide training and practice experience for a candidate to fulfill eligibility requirements for board certification as a Diplomate by the American College of Veterinary Clinical Pharmacology (ACVCP). Residents in clinical pharmacology also will have the option of working towards an advanced academic degree in veterinary pharmacology within the Comparative Biomedical Sciences (CBS) program. This program may be viewed at the Comparative Biomedical Sciences area. The residency training requirements are listed on the ACVCP Web site. This site describes the ACVCP requirements for an accredited training program and Candidate credentials requirements as currently approved by the Board of Regents. 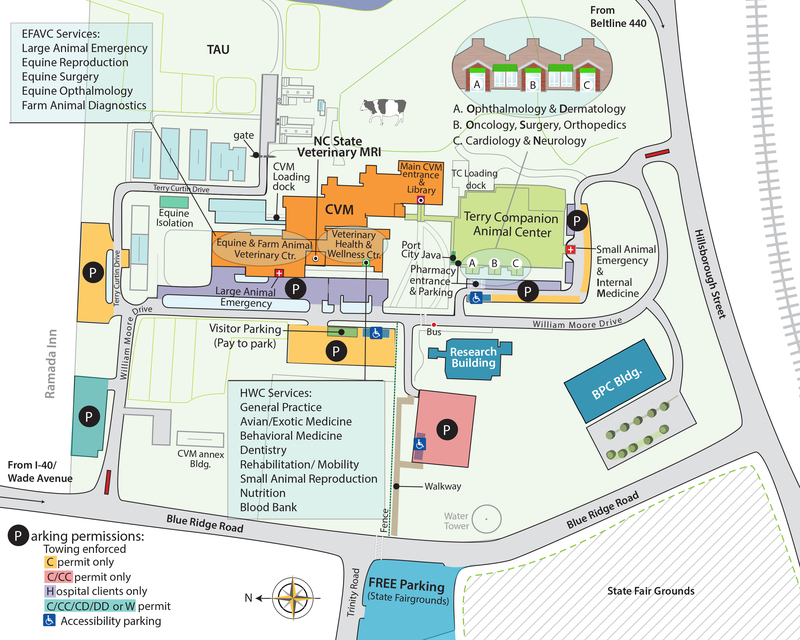 At NCSU, the Residency Program is a three (3) year program. The first year of the training program is designed to establish the resident’s knowledge base of the comparative pharmacology of principal drug groups employed in veterinary therapeutics, as well as principles of pharmacokinetics. In the second year, the resident is expected to learn the basic mechanisms and pathophysiologic features of a wide variety of diseases occurring in the various classes of domesticated animals and to understand the role of drugs in modifying the disease process. The resident will be involved with the Clinical Pharmacology Laboratory during this portion of the training period. The resident also is expected to take part in clinical teaching rounds, and take an active role consulting with clinical staff. The resident may be expected to keep a logbook of cases in which he/she played an active part in consultation. During the second year, the resident also will gain some research experience that will eventually determine the focus of the resident’s project in the third year. The third year of the training program is intended to develop the resident’s knowledge and skills in specific areas that are critical to the practice of clinical pharmacology. The primary focus during the third year will be a research project designed to provide the resident with skills necessary to be a successful investigator in veterinary clinical pharmacology. Clinical pharmacologists must be familiar with industrial and regulatory pharmacology. During the training program, the resident is expected to become familiar with the process of drug development, evaluation, regulation, and approval. This experience may be gained by visiting with one or more of the veterinary pharmaceutical companies. The resident is expected to become familiar with important aspects of the drug approval process and requirements for conducting proper clinical trials. In addition, the resident is expected to become familiar with the functions of the US Food and Drug Administration’s Center for Veterinary Medicine (CVM). The resident will become familiar with regulatory veterinary medicine, drug evaluation, approval, and surveillance. A visit to the FDA may be arranged. These off-campus experiences may be arranged by the faculty advisor at a time that is convenient during the resident’s program. In addition to these experiences, while at NCSU, the resident will have the opportunity to provide consulting for the Food Animal Residue Avoidance Databank (FARAD). FARAD is a federally-funded program consisting of a computerized databank of residue avoidance information and resources. While consulting with FARAD, residents will learn the important factors that are used to determine withdrawal times for drugs administered in an extra-label manner in food producing animals. During the training period, there will be several opportunities to gain experience in teaching. The resident will be expected to prepare didactic lectures for the second year veterinary pharmacology course. He/she also will be required to present two seminars or case presentations to pharmacology faculty, graduate students, or house officers on an area of interest. The resident will also be expected to make clinical case presentations to peers occasionally. In addition, the resident will have the opportunity to participate in the problem-based clinical teaching in the clinical services rotation for 4th year veterinary students. The influence of factors such as disease, habitus, age, and pregnancy on drug disposition and effects in a patient or patient population. During the training program, the candidate should be able to apply the basic and advanced knowledge of pharmacology to the application and practice of clinical pharmacology. Acquisition of skills necessary to be an active Veterinary Clinical Pharmacologist can occur in several ways including clinical case experience (primary and/or consulting), participation in the conduct of clinical trials, conduct of pharmacokinetic research, conduct of therapeutic drug monitoring, practical experience at the FDA-CVM or with an animal health pharmaceutical company, attendance at clinical rounds and conferences, advanced course work, attendance at special seminars, attendance at continuing education courses, attendance at scientific meetings, journal clubs, clinical teaching activities, or combinations of these activities. The candidate is expected to understand the basic mechanisms and pathophysiologic features of a wide variety of diseases occurring in animals. The candidate is expected to understand the role of drugs in modifying the disease process, and the potential complications caused by the drugs administered. The candidate is expected to be familiar with recent advances in chemotherapy and therapeutics of serious diseases. In addition, the candidate is expected to acquire the skills needed to undertake investigations in clinical pharmacology. To meet this requirement, the candidate is expected to have an understanding of the analytical and statistical methods used to investigate the pharmacokinetics and pharmacodynamics of drugs in clinical patients and experimental animals. The candidate is expected to understand the design and interpretation of experiments designed for pharmacology studies in laboratory or clinical animals. The candidate will be expected to understand the animal drug regulations in the United States and the drug approval process for new animal drugs. Factors affecting drug disposition and drug action (pharmacokinetics and pharmacodynamics), including physiologic state (e.g. species, age, gender, etc. ), pathologic state (disease) and drug interactions. Interpretation of experimental and statistical data obtained from drug studies performed in vitro, in vivo, and ex vivo. Planning and interpretation of results of clinical trials for evaluation of safety and efficacy of veterinary drugs. The use and interpretation of statistical methods to evaluate drug studies in vitro and in vivo. A general knowledge of the analytical methods used to detect and quantify drugs in animal body fluids and tissues(for example, HPLC, RIA, FPIA). The candidate should possess a practical understanding of assay validation and quality control. Some hands-on experience with drug analytical methods is desired. Planning and interpreting pharmacokinetic studies in animals, including an understanding of pharmacokinetic methods, modeling and techniques. It is expected that the candidate be familiar with the use of at least one of the pharmacokinetic software programs (eg, WinNonlin, WinNonMix, SAAM-II, etc). Training courses and materials are offered through the sponsors of each of these programs at remote sites if training cannot be offered at the institution. Evaluation of drug therapy in patients through the application of therapeutic drug monitoring, pharmacokinetic, and pharmacodynamic methods. Some experience in therapeutic drug monitoring in clinical patients is recommended. Calculation of the dose of drugs from knowledge of the minimum effective drug concentration, bioavailability, effective plasma drug concentrations, route of elimination, and other pharmacokinetic data. Similarly, the candidate will be expected to be able to modify dosage regimens to accommodate pharmacokinetic alterations caused by disease. A general knowledge of the important species differences in response to pharmacologic approaches to therapy. Understanding of the legal and regulatory considerations pertinent to extra-label drug use, drug compounding, prescription writing, and responsibilities for using and dispensing controlled substances. This should include an understanding of the AMDUCA legislation and current FDA policy guidelines. The candidate is expected to have an understanding of the regulatory issues pertaining to drug administration to food animals. This should include knowing the list of banned drugs in food animals, an understanding of how drug withdrawal times are determined, and how extended withdrawal times are calculated. A familiarization with FARAD is recommended. As part of the training program, the candidate must conduct research that addresses problems or hypotheses pertinent to veterinary clinical pharmacology. The research should be of publishable quality. The research may be a component of the candidate’s dissertation research for an advanced degree. Basic pharmacology research without direct veterinary clinical implications may not be adequate to fulfill the research component of a training program. Two manuscripts will be required before the candidate is eligible to take the Phase II ACVCP Examination. These scientific reports must be based on research that addresses problems or hypotheses pertinent to veterinary clinical pharmacology. Both manuscripts must be non-review articles, published in peer review journals. At least one of the articles must be an original research article; the other article may be a case study. The candidate must be listed as first author on at least one of the required articles. Letters of final acceptance from editors will be sufficient to meet this requirement. A training program in Veterinary Clinical Pharmacology must include advanced course work in areas needed for expertise in clinical pharmacology. Courses required for fulfillment of the D.V.M. (or equivalent) degree are not allowed to meet this requirement. However, courses taken to fulfill requirements for an advanced degree (eg, PhD, MS) are allowed. Advanced course work also may include in-depth focused training seminars. Graduate courses exist at NCSU to meet this requirement. The candidate will be required to document courses taken at the time application is made to the Credentials Committee. Clinical veterinary experience, which may include, but is not limited to a clinical internship or residency, or at least one year of clinical experience in veterinary practice. If Candidates select this option, they are expected to complete this phase of the clinical requirement prior to admission into the clinical pharmacology training program. The scope and nature of this experience must be described when the Candidate submits an application. Management or consultative support of complex therapeutic problems in veterinary species. Identification and management of adverse drug reactions. Interpretation of microbiology culture and susceptibility data to guide the clinical management of a bacterial infection. Develop drug protocols for extra-label drug use in food animals. Determine extended withdrawal times for food animals that have been administered drugs in an extra-label manner. Individualize drug dosage in clinical patients. The following list contains references the Candidate should be familiar with during the ACVCP training program. This reference list will be used as a source of questions for the Phase I and Phase II ACVCP Examination, but the source of questions is not necessarily limited to this reference list. Candidates also are encouraged to consider contemporary articles in reputable journals pertaining to veterinary clinical pharmacology and applied therapeutics. The program is not part of the residency matching program. Candidates for residency program must also be accepted to the College’s Comparative Biomedical Sciences graduate program. To be admitted to the Clinical Pharmacology training program, the Candidate must be legally qualified to practice veterinary medicine in a state, province, territory or possession of the U.S., Canada, or other country. Candidates are required to take the graduate record exam (GRE) prior to admission. 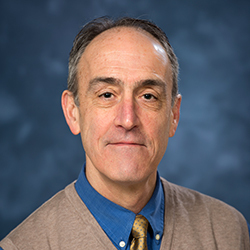 For information regarding the program in Clinical Pharmacology contact Dr. Mark G. Papich. For questions about the College’s graduate program, Candidates should contact the administrator of the Comparative Biomedical Sciences program, Dr. Sam Jones at 919-513-7722, the CBS office at (919) 513-6203, fax: (919) 513-6452.